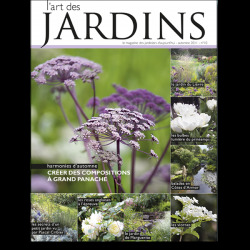 Issue n°10 of L'Art des Jardins features gardening creativity and innovative colour associations, all the more appropriate as the first days of autumn this year promise an Indian summer. 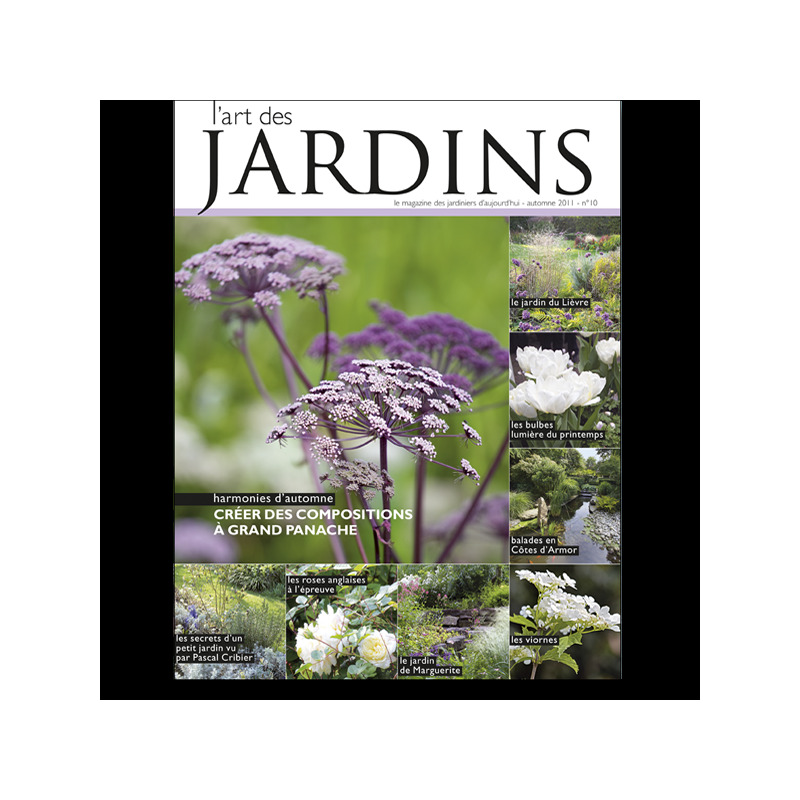 Issue n°10 considers the effect of autumn light and honours associations made with ornamental grasses and high perennials. 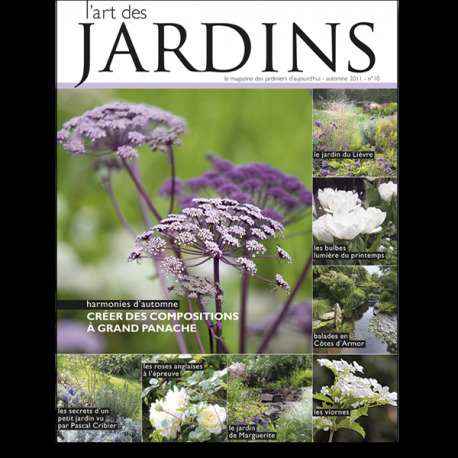 We also have a look at English roses in a French garden (Alexandra Jansen in Lorraine) and take you on an exclusive visit of the garden landscape architect Pascal Cribier designed for the nursery gardener Louis Bois in the Yvelines, near Paris. It is also time to review the most remarkable creations at this year's Chelsea Flower Show, with a special mentions for very small but very inspired gardens. We also provide you with ideas for visits in France's Côtes d'Armor region to gardens open in autumn.